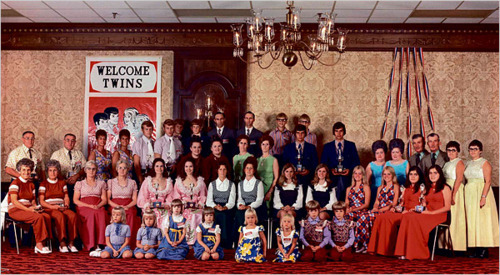 We have a lot of twins in our family tree, 54 pairs to be precise, must be in the genes. This page is dedicated to Janet and Ellen. Siblings baptized the same day might appear to us, hundreds of years later, to be twins, but but I tried to weed these out. For the most part, our Puritan ancestors were pretty strict about baptizing their children on a timely basis. I’m not going to count all the children in our family tree, but assuming each of 700 families had about 5 children each, we have about 3500 births. With those assumptions we have had 14 twins per 1,000 births which is about average. 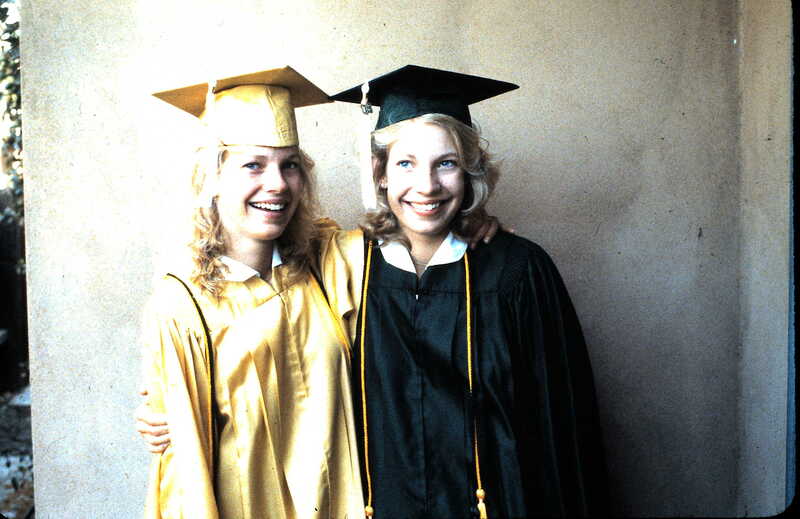 The twin birth rate in the United States rose 76 percent from 1980 through 2009, from 18.9 to 33.3 per 1,000 births. The Yoruba people of Central Africa have the highest rate of twinning in the world, at 45-50 twin sets (or 90-100 twins) per 1,000 live births, possibly because of high consumption of a specific type of yam containing a natural phytoestrogen which may stimulate the ovaries to release an egg from each side. In Latin-America and South Asia and South-East Asia the lowest rates are found; only 6-9 twin sets per 1,000 live births. North America and Europe have intermediate rates of 9–16 twin sets per 1,000 live births. I noticed that many of the twins that died young came when their mothers had already had six or seven children. The incidence of twins is highest among women between 35 and 39. This increase is attributed to higher levels of gonadotropin, the hormone that stimulates the ovaries to develop and to release eggs. As a woman gets older, the level of gonadotropin increases, and she is more likely to produce two eggs during one menstrual cycle. I was surprised that many of our twins were boy/girl pairs. It turns out that fraternal (dizygotic) are actually more common than identical (monozygotic) twins. Twins from one egg occur about once in every 250 births around the world (0.4%). Twins from two eggs occur in 1 out of every 100 births (1.0%) in white women and in 1 out of 79 births in black women. In certain areas in Africa, twins occur once in every 20 births! Triplets are much less common; they occur only once in every 8,000 deliveries. Most doctors never deliver a set of triplets in their entire careers. We have one possible set of triplets — Mercy, Sarah and Mary Lawrence, daughters of George LAWRENCE and Elizabeth CRISPE all show a birth date of 4 Dec 1671 Watertown, Mass. All three grew up and married. I haven’t found any evidence to refute the birth dates, but you would think someone would comment on triplet girls. Fertility drugs and the growing number of women who are having babies at an older age are two major reasons for the increased incidence of twins. Fertility drugs can stimulate the ovaries to release more than one egg, increasing the chance of a multiple pregnancy. In-vitro fertilization techniques are more likely to create dizygotic twins. My favorite twin story here is Cornelius BRINK‘ twin sons Adam and Jan who enlisted in the Continental Army together. They were members of the Regiment of the Levies under the command of Colonel Albert Pawling and served in the Fifth Regiment of the Line (the Continentals) under Colonel Lewis Dubois. At a dinner given fifty years after the close of the Revolution in Kingston, NY, on Sep 10, 1832, both of these brothers were present, having come to celebrate together. Remember that Thomas Jefferson and John Adams both died on the 50th Anniversary of the Declaration of Independence 4 Jul 1826. 13 May 1625 England — John & James Reynolds, sons of William REYNOLDS and Esther RUTH. James Reynolds first married Susannah Sheldon about 1645. He next married Deborah Jordan (or Sweete) between 1647 – 1650 in Rhode Island. James died Aug 1700 Kingstown, Washington, Rhode Island. John REYNOLDS married Anne HOLBROOK about 1652 in Weymouth, Mass. John died before 4 Jan 1691 in Stonington, CT. 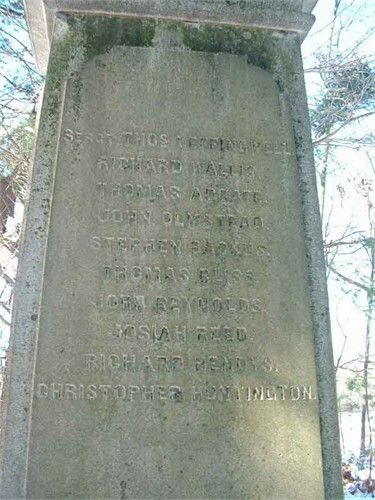 Founders Stone, Norwich, Connecticut. Ancestors on this monument are Major John Mason, Rev James Fitch, John Reynolds and Nehemiah Smith. 4 Dec 1671 Watertown, Mass — Mercy, Sarah & Mary, daughters of George LAWRENCE and Elizabeth CRISPE all show this date for their birth. I don’t really think they were triplets, maybe they were all baptized together. Mercy married Willliam BAKER about 1691 as his second wife. Mercy died 25 Nov 1753 Harwich, Mass. Sarah Lawrence married Thomas Rider 5 Apr 1689 in Roxbury, Mass. Sarah died 1714 in Roxbury. Mary Lawrence first married John Earl (Erle) 5 Apr 1687 in Watertown. She second married Michael Flagg on 27 Dec 1704 in Watertown. Mary died 1744 Groton, Mass. 17 Feb 1694/95 Rowley, Mass — Benjamin and Hepibah, son and daughter of Edward HAZEN Jr. and Jane PICKARD. Benjamin first married Elizabeth Blanchard 25 Jul 1717 in Rowley. Benjamin married second to Betty Nutting 2 Apr 1740 in Groton, Mass. Benjamin died 18 Sep 1755 Groton, Mass. Hepzibah married Nathaniel Perkins 15 Nov 1716 Boxford, Mass Hepzibah died before 1768. 20 Aug 1709 Dorchester, Mass. — Ebenezer & Robert, sons of Maj. John FOSTER and Margaret WARE. Ebenezer FOSTER married Desire CUSHMAN on 17 Sep 1730 Attleboro, Mass. Ebenezer died from consumption 18 Jun 1749 in Cumberland, Providence, RI. Robert Foster married Mary [__?__]. Robert died in 1760. 17 Aug 1738 in Haverhill, Mass — John & Susannah, son and daughter of John BRADLEY Sr. and Susannah STAPLES. John BRADLEY Jr. married Mary HEATH 21 Mar 1760 in Haverhill, Mass. John died Before 1830. Susannah Bradley married Philbrook Colby 13 Jul 1758 Haverhill, Mass. Susannah died 2 Aug 1778 in Pembroke or Weare, NH. A Haverhill, Mass marriage was recorded between John Bradley and Mary Heath so the following is presented merely as legend and — although it is a wonderful tale — totally unverifiable. A man named John Bradley who was born in 1753 in Vermont became the first permanent white settler in this area (Washburn). 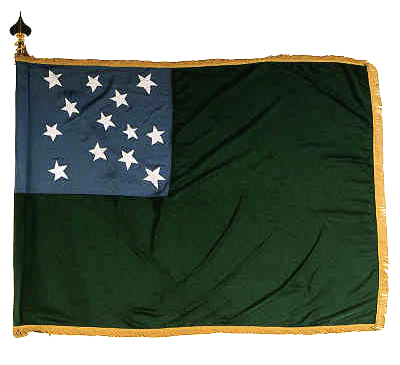 A tall strong man with a fiery temper, he joined Ethan Allen and the Green Mountain boys in Vermont. When the Revolutionary war began, Bradley was with Ethan Allen at the capture of Ft Ticonderoga. 14 Dec 1742, Topsfield, Mass — John & Zebulon, sons of Richard ESTEY and Ruth FISKE. John married Mary Hartt 14 Nov 1769 in Sheffield, Maugerville, New Brunswick. 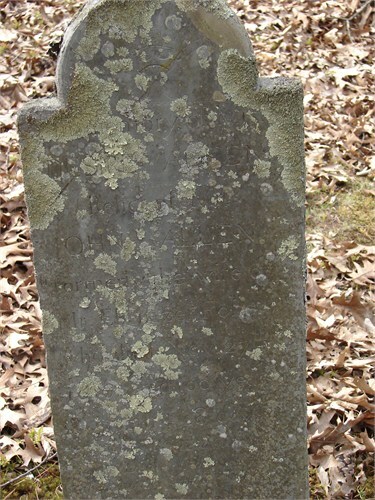 John died 12 Oct 1824 in Kingsclear, York Co. New Brunswick. Zebulon was one of Jacob’s sons in the Bible. Zebulon ESTEY married Mary (Molly) BROWN Aug 1765 Newburyport, MA. Zebulon died 10 Oct 1825 in New Brunswick Canada. 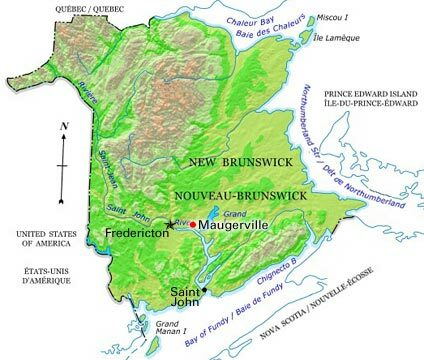 The Esteys resided in Rowley, Mass until 1764 when they relocated to a settlement on the St John’s River in New Brunswick Canada called Maugerville. Zebulon made the trip the next year with his new bride and was one of the signers of the original covenant of the Congressional Church. Zebulon’s daughter Molly ESTEY married her first cousin Amos ESTEY so many of our direct ancestors made the trip. Zeb’s twin brother John and sister Sarah who married Thomas Barker also made the trip. 3 Aug 1835 Vassalboro, Maine — Ellen Celeste and Emma A., daughters of Oliver WEBBER and Abigail HAWES. 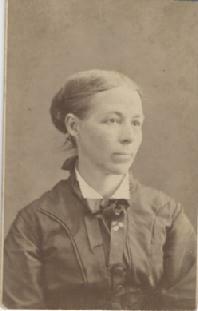 Ellen Celeste WEBBER married Guilford Dudley COLEMAN 9 Oct 1855 in Vassalboro, Maine. Ellen died 31 Oct 1881 in Anoka, MN. Emma married Jacob Melvin Prescott bef. 1863 Emma died between 1895-1900 in Tama, Iowa. Ellen was educated in a New England “Female Seminary” and wrote beautifully and expressed herself elegantly. Since her family disapproved of her marrying Oliver Webber, they eloped and emigrated to Minnesota. He was young and poor. In Minnesota he was a farmer and a blacksmith. See his page for details, I don’t think she liked frontier life very much. 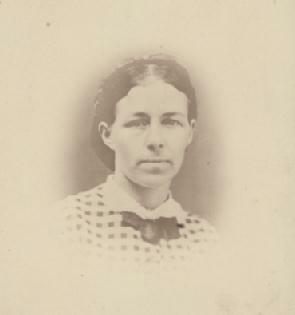 Ellen Celeste (Webber) Coleman. About 1880. Emma was a student at Maine State Seminary Students (now Bates College, a liberal arts college located in Lewiston, Maine. Emma appears in this 1858 list of students from the Bates College (Maine State Seminary) Catalogue. Emma married Jacob Melvin Prescott before 1863. Emma was six years older than her husband. In the 1880 census Jacob was a laborer in Montour , Tama, Iowa and their two oldest sons were working in a machine shop. Emma died between 1895 when she was recorded in an Iowa census and 1900 when Jacob was living alone in Montour and working as a jeweller. By 1910, Jacob had moved in with his son Herbert in Grant’s Pass, Oregon. Montour grew to be a thriving community with churches, a high school, hotels, general stores, gas stations and even at one point a car dealership. In the past 30 years, most of these have faded away. The high school was incorporated into the Tama County School system in the 1950s, became an elementary school in the 1980s and, with dwindling attendance, closed its doors completely in 2003.
i. Llewellyn Prescott (1863, China, Maine – 1 Jan 1938, Jackson, Oregon) In the 1900 census, Llewellyn (37), Clarence (36) and Alfred (24) were boarding together in Omaha, Nebraska. Llewellyn was working as an electrician, Clarence as a mechanical engineer and Alfred as a journalist. 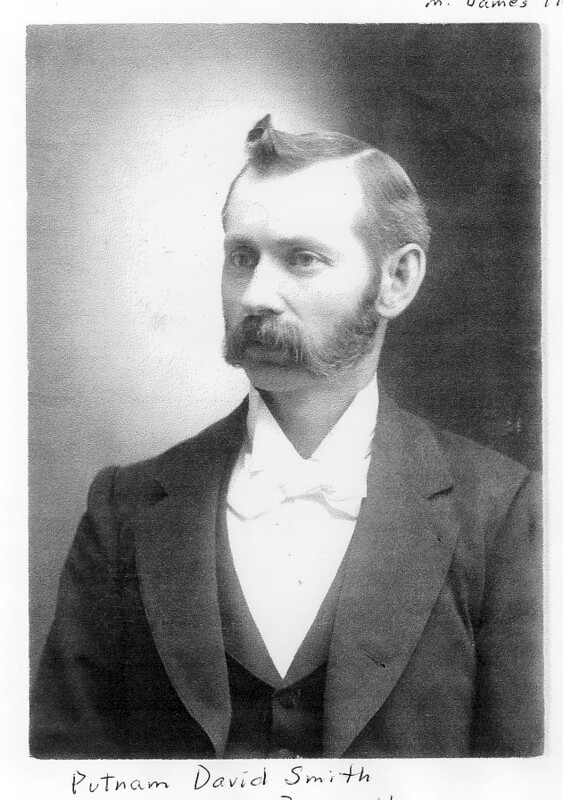 In 1910, Llewellyn was living with his sister Mabel and her husband Putnam in Oakland, California and working as a machinist in a planing mill where Putnam was the foreman. In the 1930 census, Llewellyn had a plumbing shop in Ashland, Jackson, Oregon and was living next to his brother’s widow Anne Prescott. ii. Clarence Prescott (Feb 1864 in China, Kennebec, Maine – 23 Dec 1919 in Jackson, Oregon); m. Anna T Austin (abt 1874 in Iowa – 4 Sep 1958 in Ashland, Jackson, Oregon) Anna’s parents were from Norway. In the 1910 census, Clarence had a carpentry shop in East Ashland, Oregon, In the 1930 census, Anna was living with her daughter Marie, a 24 year old school teacher and her son Glen, a 19 year old newspaper typsetter. iii. Herbert S Prescott (Jun 1867 in China, Maine – 13 Nov 1928 in Salem, Oregon); m. 1897 Alice M. Peck (Mar 1864 in Cedar Falls, Iowa – 9 Dec 1940 in Salem, Marion, Oregon) In the 1900 census, Herbert was working as a mechanic in Waterloo, Iowa. In the 1910 census, Herbert was a newspaper editor in Grants Pass, Oregon. Strangely, Herbert is listed twice in the 1920 census, as a newspaper reporter living with Alice in Salem, Oregon and as a laborer living with his sister Mabel Smith in Atascadero, California. 1963 San Diego Californa — Ellen Genevieve & Janet Eleanor, daughters of Everett MINER and Nancy BLAIR. This history of twins is dedicated to them! 11 Sep 1644, Roxbury, Mass — Peter & Andrew, sons of John LEWIS and Elizabeth [__?__]. Peter LEWIS married Grace DIAMOND about 1667. When he was 24, Peter bought a house and fishing stages on Smuttinose Island from Matthew Giles on 30 Nov. 1668. He then bought land on Spruce Creek, Kittery, Maine from John Phoenix in 1675 and sold his property at the shoals in 1683. He was listed as a culler of fish at the shoals in 1680. Peter was on the grand jury in Maine in 1668-9, 1695, 1696, 1701 and 1702. He was on the Grand Jury in NH in 1673. Grace was listed as being a midwife in 1720. Peter died 4 Apr 1716 in the Isle of Shoals, Maine. Andrew died young. Peter Lewis was at Smuttynose Island in 1668, and sold his land there in 1683. Smuttynose Island is one of the Isles of Shoals, located six miles off the coast of New Hampshire, but actually in the state of Maine. It was named by fishermen, seeing the island at sea level and noticing how the profuse seaweed at one end looked like the “smutty nose” of some vast sea animal. 10 May 1665, Salisbury, Mass. — Anthony & Sarah, son and daughter of John COLBY and Frances HOYT. Anthony COLBY first married Elizabeth WEST in 1678. He next married Sarah Pike 4 Feb 1685 Salisbury. Anthony died 4 Dec 1721 Salisbury, Mass. Sarah died in 1674 when she was nine years old. 7 Jan 1727, Boxford, Essex, Mass. — Hannah & Margaret (Peggy), daughters of Israel HAZEN and Hannah CHAPLIN. Hannah married Richard ESTEY II 7 Feb 1750 in Rowley, Mass. 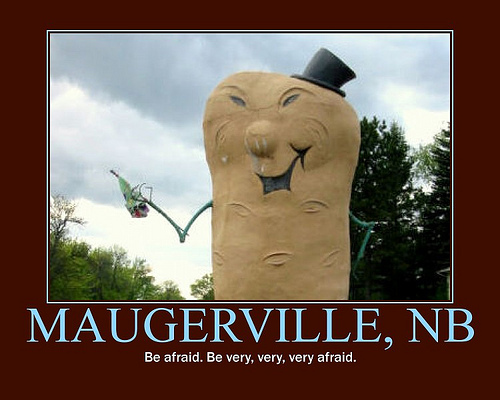 They resided in Rowley, Mass until 1764 when they relocated to a settlement on the St John River in Sunbury County, New Brunswick Canada called Maugerville. Three generations of our Estey ancestors immigrated, Richard – age 58, Richard Jr. – age 36 and Amos – age 5. Richard’s twin brothers Zebulon (also our ancestor) and John and sister Sarah who who married Thomas Barker also made the trip Richard died on 9 Apr 1817 in Sheffield, Sunbury, New Brunswick, Canada. Hannah died 28 Sep 1817 in Kingsclear Parish, York Co., New Brunswick. 1458 Somerset, England — George & Arthur, sons of Lodovick MINER and Anna DYER. Thomas MINER wrote back to England about 1683, in investigation of his ancestory. In return, he received this manuscript (A (False) Herauldical Essay Upon the Surname of Miner) that contains an essay that traces the ancestry of Thomas back to a Henry Bullman who lived in the 1300s. The essay is written on a colorful, six foot long scroll and was originally published in NEHGS Register of April 1859 (volume XIII, pages 161-5). It is stored in the library of the Connecticut Historical Society located in Hartford, Connecticut. WARNING: A study titled “The Curious Pedigree of Lt. Thomas Minor” by John A. Miner and Robert F. Miner and published in the NEHGS Register of July 1984 (volume 138 pages 182-5) indicates that much of the contents of this document and the coat of arms it presents are FALSE. Lodovick married Anna Dyer daughter of Thomas Dyer of Staughton in the Countie of Huntington and had issue Thomas born 1436 and after that twins born twenty two years after the birth of the said Thomas and the twins George and Arthur who both served the house of Austria the younger married (as Philipe Comines relates) one Henreta d’La Villa Odorosa. 1578 Regis, Dorset, England — Cicely & Joan, daughters of William Phippen and Jane Jordaine. Cicely married Thomas Reynolds, son of Christopher REYNOLDS and Clarissa HUNTINGTON. Thomas and Cicely died before 1611 when their daughter Cecily traveled to Virginia with her her mother’s twin sister and Joan Phippen and uncle Capt. William Pierce. The younger Cecily Reynolds (wiki) first married Thomas Bailey (b. 1580 in England d. 20 Sep 1620 in Jamestown, Charles City, Virginia. Next she married Samuel Jordan (wiki) (b. 1578 in England d. 1623 in Virginia. She married third to William Farrar. She married our Peter MONTAGUE fourth around 1645. After Peter died, she married Thomas Parker (b. 1600 in Burnham, Buckinghamshire, England d. 1663 in Isle Wight, Virginia. Cicely died 12 Sep 1660 in Charles City, Virginia. “Joan Pierce, who lived next door to Governor Yeardley, had put on weight after the Starving Time. She took pride in her cooking and equal pleasure in eating.” She had plump hands. 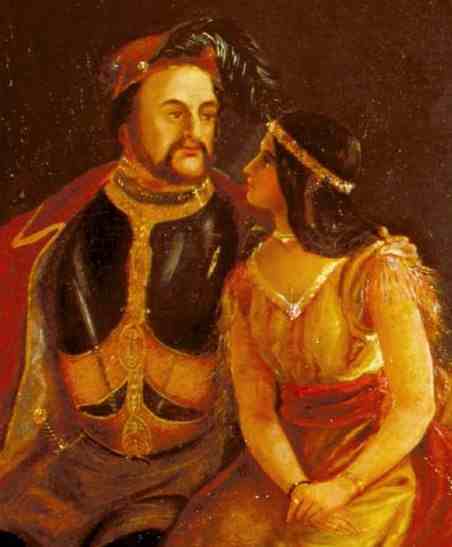 Rolfe’s second wife was the Indian Princess, Pocahontas, daughter of the great Chief, Powhatan. On what, in modern terms, was a “public relations trip” for the Virginia Company, Pocahontas and Rolfe traveled to England in 1616 with their baby son, where the young woman was widely received as visiting royalty. However, just as they were preparing to return to Virginia, she became ill and died. Their young son Thomas Rolfe survived, and stayed in England while his father returned to the colony. 31 May 1640 Salem, Mass. — Zacharaih & Sarah son and daughter of Robert GOODALE and Catherine [KILHAM?] . Zachariah married Elizabeth Beauchamp 30 APR 1666 in Salem, Mass. Samuel died in 1715. Elizabeth (Beacham) Goodale, wife of Zachariah Goodale, accused her brother-in-law John Smith of sexual assault; this case brought forth many illuminating depositions from family members and neighbors. (See Robert GOODALE’s page for details.) Sarah Goodale married John Batchelder (son of our ancestor Joseph BATCHELLER) 4 May 1666. Sarah died 22 Mar 1729/30 in Wenham, Mass. 4 Feb 1647 Rehoboth, Mass. — Elizabeth and Mary, daughters of Sgt. Thomas WILMARTH and Elizabeth BLISS. Elizabeth married Jonathan Fuller 14 Dec 1664 in Rehoboth, Mass. Elizabeth died 4 Oct 1690 Rehoboth, Mass. Mary married first Joseph Rocket 5 Jan 1680 in Rehoboth, Mass. She married second Giles Gilbert on 28 Oct 1686 in Taunton, Mass and third to Jeremiah Wheaton 12 Jun 1723. 15 Oct 1651 Eastham, Barnstable, Mass, (tip of Cape Cod) — Apphia & Mercy Bangs, daughters of Capt. Edward BANGS and Rebecca HOBART. Apphia and Mercy were first married on the same day. Apphia married John Knowles 28 Dec 1670 in Eastham, Mass. Next she married Stephen Atwood Jun 1676 in Eastham, Mass. Apphia died 12 Jun 1722. Mercy married Stephen Merrick 28 Dec 1670 Eastham, Mass. She died after 1684 when her last child was born. The earliest appearance of Apphia’s husband John Knowles may have been while he was still a minor. In the court held 3 Mar 1662/63 Ephraim Doane, Thomas Ridman, John Knowles, and John Wilson were tried and were fined 25s. each for trading of liquors with the Indians at Cape Cod. 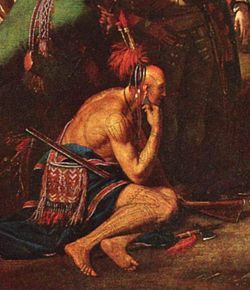 In the same court Ephraim Doane and John Knowles were bound over under heavy bonds, pending investigations into the circumstances of the death of Josiah, the Indian sachem at Eastham. This matter was dropped. soon after his marriage his name appears at the head of a cattle page, the entry reading “John Knowles 1 mare colt 4 Aug. 1671.” His earmark was transferred to his grandson, Williard Knowles, 28 Jun 1737. 17 Mar 1665, Rehoboth, Mass. — Joseph & Mercy, son and daughter of John TITUS and Abigail CARPENTER. Joseph married Martha Palmer, daughter of Jonah PALMER, 19 Jan. 1687/88 in Rehoboth. Joseph was living Rehoboth 16 Jun 1741, aged 76. Mercy married Dr. Richard Bowen 9 Jan 1683 in Rehoboth, Mass. Mercy died 27 Jan 1747 in Rehoboth. 2 May 1666, Watertown, Mass — Benjamin & Daniel, sons of George LAWRENCE and Elizabeth CRISPE. These twins married seven times, a record for our family. Benjamin first married Mary Clough 4 Jul 1689, Charlestown, Mass. He married 2nd to Anna Phillips 3 Feb 1695, third to Anna Coolidge 18 Nov 1716 and fourth to Elizabeth Bennett 9 Jul 1719. Benjamin died 7 Sep 1733. Daniel Lawrence first married Sarah Counce 19 Jun 1689. He married 2nd to Hannah Mason Nov 1695 and third to Maud Russell 23 Aug 1722. Daniel died 20 Oct 1743 in Watertown, Mass. 13 Jun 1671, Bradford Mass. — John & Hannah, son and daughter of John GRIFFIN and Lydia SHATSWELL. John first married Mary Green 1694 Haverhill, Essex, Mass. He next married Mary (Capen) Baker. John died 23 June 1739. Hannah married Daniel Morrison 1690 in Newbury, Mass. Hannah died 9 Oct 1700 Newbury, Mass. Jan 1677/78, Malden Mass. — Hannah & Joseph, daughter and son of Deacon Thomas SKINNER and Mary PRATT. Hannah married John Grover. Hannah died 21 Aug 1728 in Colchester, CT. Joseph died 18 Jan 1725 in Malden, Mass. 1685, Yarmouth, Barnstable, Mass — Samuel & William, sons of Nathaniel BASSET and Dorcas JOYCE, Sammuel married Elizabeth Jones 1699 in Yarmouth, Mass and died Feb 1760 East Greenwich, Kent, Rhode Island. William first marrried Martha Godfrey 23 Feb 1710 Yarmouth, Barnstable, Mass. and next married Sarah Jenkins 30 Jan 1723 Barnstable, Barnstable, Mass. 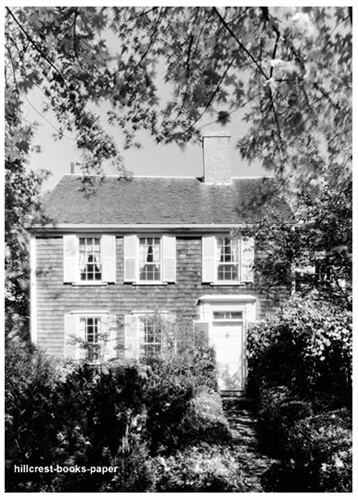 30 May 1737, Rumbout, Dutchess, New York — Mary & Chauncy, daughter and son of John EVERY and Rachel WILLIAMS. Mary married John Wildey 26 Apr 1823 in Dutchess, NY. Chauncy died in 1789. 7 Feb 1763, Katsbaan (Saugerties), Ulster, NY — Jan & Adam, sons of Cornelius BRINK and Annetje Jannetje WINNE. Jan married Catharina Hommel 28 Apr 1782 in Kingston, Ulster, NY. Jan died 15 Jan 1843. Adam married Catharina Snyder 8 May 1783 in Katsbaan (Saugerties), Ulster, NY. He was placed on the Revolutinary War pension roll 11 Mar 1833 his pension commenced 4 Mar 1831. Adam died 30 Jun 1843, Ulster, NY. Twin brothers Adam and Jan Brink enlisted in the Continental Army together. They were members of the Regiment of the Levies under the command of Colonel Albert Pawling and served in the Fifth Regiment of the Line (the Continentals) under Colonel Lewis Dubois. At a dinner given fifty years after the close of the Revolution in Kingston, NY, on September 10, 1832, both of these brothers were present, having come to celebrate together. Joshua Hawes 14 Aug 1806 Vassalboro, Maine — Joshua & Joseph, sons of Isaac HAWES and Tamzin WING. Joshua first married Diana Parker 1 Jan 1836 in Waldo, Maine. He next married Mrs. Harriet M Baker Joshua died in 1876 in Corinth, Maine. Joseph married Mrs. Ellen Maria (Boody) Pride on 7 Oct 1845 Joseph died 12 Jun 1885 in Deering, Maine. Isaac’s son John had twins, Hadley and Henry. Isaac’s daughter Abigail had twins Ellen and Emma. Ellen is our ancestor. Isaac’s grand daughter Annie Shaw (Almira’s daughter) had twins, Sumner and Attic. Joshua’s son Granville was a judge in New York City. Joshua lived in Corinth, Penobscot county, Maine, His house was famous through the countryside for its ample proportions and generous hospitality; he held for many years the offices of Justice of the Peace, and Deacon. Granville graduated from Bowdoin College in 1860. Subsequently he became professor of rhetoric and English literature in the State College of Maryland. He was also a graduate of the Columbia College Law School, and started in the practice of the law shortly after leaving the institution. He was for four years in the military service, going all through our civil war, being on the stafif of Major- Gen. William H. Emory, commanding the Nineteenth Army Corps. His success at the Bar led to his nomination, in 1879. for the old Marine Court judgeship. After a very exciting election he was elected judge of that court, being the only Republican elected on the entire city and county ticket. 16 Apr 1649, Sandwich, Barnstable, Mass — Mary & Mercy Newland, daughters of Rose Holly ALLEN and William Newland. Mary died 4 Sep 1658, Sandwich, Mass. Mercy Newland married William Edwards in 1685 in Weymouth, Norfolk, Mass. Mercy died 16 Jun 1674 in Duxbury, Mass. 5 AUG 1652 Windsor, CT — Samuel & Joseph, sons of Elder John STRONG and Abigail FORD. Samuel first married Esther Clapp 19 JUN 1684 Mass. He next married Ruth Sheldon 28 Oct 1698 29 OCT 1732 in Northampton. Mass. Joseph died 23 DEC 1662 Windsor, CT when he was ten years old. 21 May 1656 Cambridge, Mass. — Joseph & Abiah, sons of Richard DANA and Anne (Anna) BULLARD (BULLER). Joseph married Mary Gobel 17 Jan 1681/82 in Concord, Mass. Joseph died 11 Feb 1700. Abiah died 8 Dec 1668 in Cambridge, Mass. 27 Feb 1659/60 Ipswich, Mass — Noe & Mary, daughters of John FRENCH Sr and Freedom KINGSLEY. Noe died young. Mary married Samuel Stebbins 4 Mar 1677/78 in Northampton, Mass. Mary died 26 Jan 1696 Northampton, Hampshire, Mass. 26 Jul 1665, Baptized Dutch Reformed Church, Kingston — Jan & Jacob, sons of Francois LeSUEUR and Jannatie HILDEBRAND PIETERSEN. Jan married Rachel Smedes 1 Oct 1686 in the Dutch Reformed Church, New York City, Jan died in Kingston, NY. 30 Oct 1674 Harwich Mass, Edmund, Henry & Mercy Freeman, sons and daughter of Deacon Thomas FREEMAN and Rebecca SPARROW. Edmund and Henry died young. Mercy married Paul Sears 1693 Harwich, Mass. Mercy died 30 Aug 1747 in W Brewster Mass. 6 Jan 1689, Baptized in French Church in Narragansett, Rhode Island — Pierre and Marie Magdelene, son and daughter of Marie ARNAUD and Pierre Traverrier. Pierre marriedn Mary Rezeau (Anne REZEAU‘s sister and daughter of Rene REZEAU ) Pierre died in 1749. Marie Arnaud’s first husband, Jean Perlier was a Pilotte de Navire, a title that literally translated means a naval pilot. Back then that meant not only a navigator but the person who actually created the charts. He worked for ship owner Andre Arnaud and married his daughter 27 Nov 1667 in Temple of La Tremblade, Perche, France. During this time there was a great turmoil in France and the Huguenots (French Protestants) were under tremendous pressure. Children were taken from their parents and put into Catholic homes, parents were persecuted and frequently put to death. When the slaughter and persecution began, the Perlier family was ripped apart. 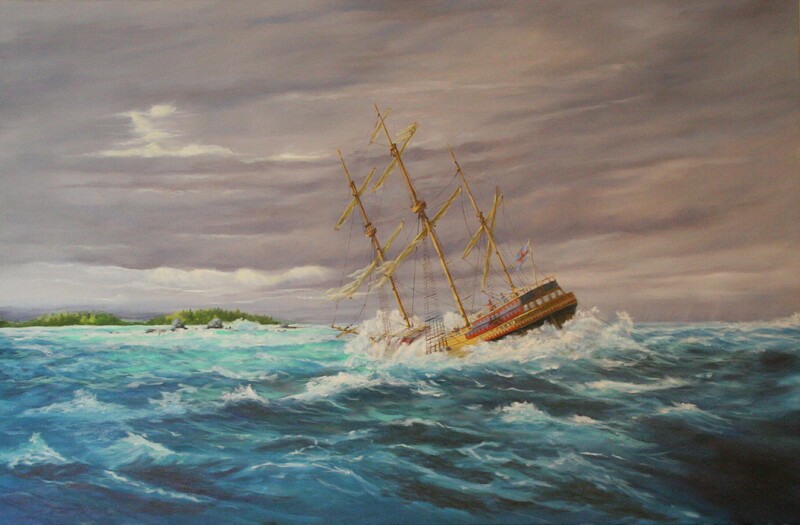 Possibly Jean was at sea, for he managed to flee north to Holland. He never saw his family again and for many years believed then dead. 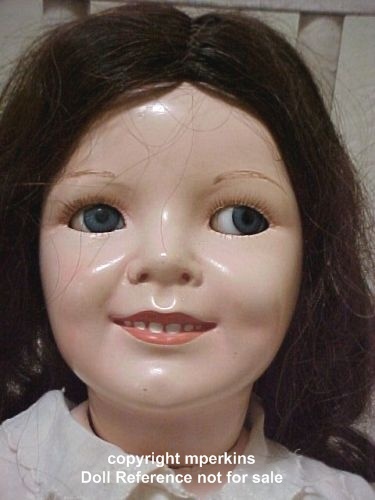 Andre Arnaud smuggled daughter Marie, Marie’s children, sister Jael and cousin Andre out of the country hidden in wine casks aboard one of his ships. It has been told that they hid in hogsheads which had holes bored in them and were stored with the freight in the bottom of the ship until they were out of reach of the inspectors. The first known record of Marie Arnaud in the United States is in 1687 when she appears as a widow on a list of the French Church at Narragansett, Rhode Island. On the ship Marie met the captain, Pierre Traverrier. Marie and Pierre were married 4 Jan 1688 in the church at Frenchtown, Narragansett, Rhode Island. Their marriage was recorded on 20 Apr 1688, in the registers of the old French Church in New York City. 3 Jun 1694, Saugerties, Ulster County, NY — Jacob & Rachel, son and daughter of Cornelis Lambertsen BRINK and Marijken Egbertse MEYNDERSE. Rachel married Arend Ploeg 30 Jun 1720 in Kingston, NY. Rachel died in 1737 in Ulster, New York. 4 Jun 1819 Upper Kent, New Brunswick — George F & John, sons of Jonathan PARKS and Sarah Hannah BRADLEY. George married Rebecca Bubar on 20 Mar 1840 Eaton Grant, Aroostook, Maine. He enlisted as a Private on 26 Jan 1864 at the age of 42 in Company G, 15th Infantry Regiment Maine. George was still enlisted in Company G, 15th Infantry Regiment Maine when he died of disease on 7 Aug 1864 in Washington, DC. 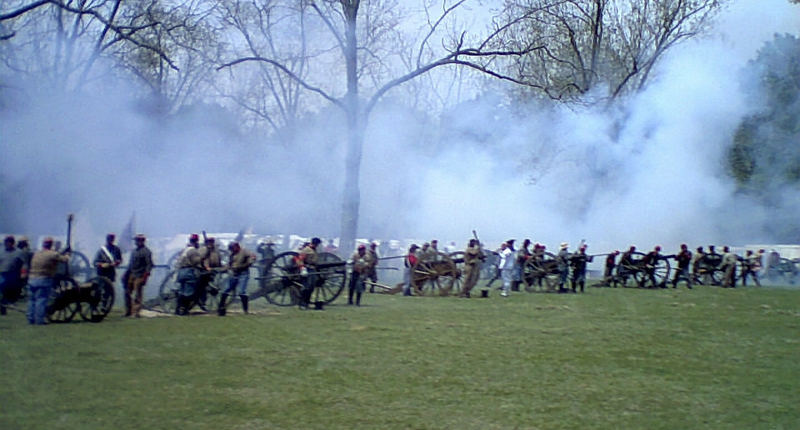 George participated in the Red River Campaign, a series of battles fought along the Red River in Louisiana from March 10 to May 22, 1864. 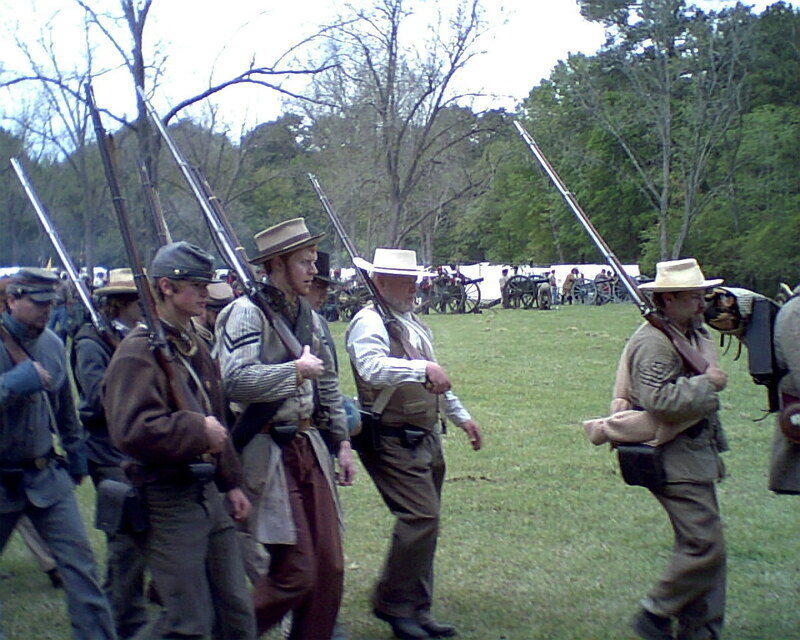 The campaign was a diversion from Lt. Gen. Ulysses S. Grant’s plan to surround the main Confederate armies by using Banks’s Army of the Gulf to capture Mobile, Alabama. It was a dismal Union failure, characterized by poor planning and mismanagement, in which not a single objective was fully accomplished. 31 Aug 1614 Sedgeberrow, England — Joseph & Jonathan, sons of Francis NICHOLS and Frances WIMARKE. Joseph died 2 Sep 1614 and Jonathan died on 4 Sep 1614. 11 Oct 1620 Yarmouth, Norfolk, England — Mordechaus & Benjamin Goodale sons of John GOODALE and Elizabeth PARLETT. Mordechaus was living in 1625. Benjamin died before 1625. 20 June 1634 St George, Canterbury — Mary and Martha Batcheller, daughters of Joseph BATCHELLERand Elizabeth DICKENSON. Both girls died the day they were baptized. 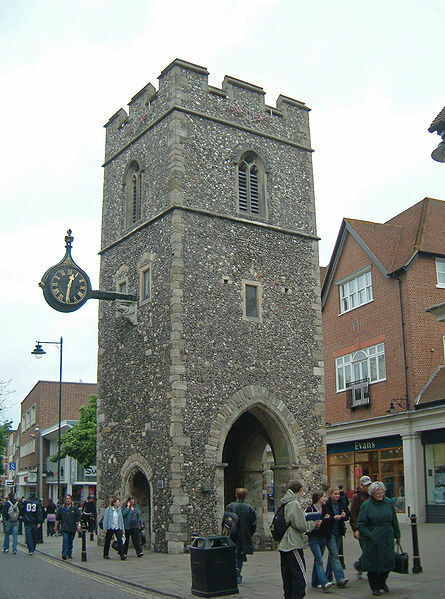 Mary and Martha Batcheller were baptized at St. George’s Church, Canterbury, as was Christopher Marlowe. The Tower is all that survived of the church after the Baedecker Blitz in World War II. Samuel Beamsley 24 JAN 1641 Boston, Mass. Samuel and Habakuk, sons of William BEAMSLEY and Anne [__?__] . Both boys died in Apr 1641. Habakuk means “embrace.” The Book of Habakkuk is the eighth book of the 12 minor prophets of the Old Testament . It is attributed to the prophet Habakkuk, and was probably composed in the late 7th century BC. The 12 minor prophets are: Hosea, Joel, Amos, Obadiah, Jonah, Micah, Nahum, Habakkuk, Zephaniah, Haggai, Zechariah, and Malachi. Micah is the one that’s trendy right now, which one would you pick for your baby name? 5 Sep 1664 Dover, NH — Ebenezer and John Varney, sons of Humphrey Varney and Sarah STARBUCK. John died 14 Aug 1666 Dover, NH. 20 APR 1669 Newbury, Mass — Francis and Thomas, sons of Francis THURLOW and Ann MORSE. Both died young. 22 Sep 1674 Scituate, Mass. — Margaret & Sarah, daughters of Edward WANTON and Elizabeth [__?__]. Margaret died 19 Apr 1676 in Scituate, Mass. Sarah died 9 Dec 1675 in Scituate, Mass. 6 Dec 1677 Gloucester, Essex, Mass — Mary & John, daughter and son of Thomas PRINCE Jr. and Elizabeth HARRADEN. Mary died before 11 Jan 1705. Capt. John Prince first married Abigail Ellery 1705 in Gloucester, Mass. He next married Mary Wharff 7 Aug 1746 Gloucester John died 19 Apr 1767 in Gloucester, Mass. 1682 Taunton, Bristol, Mass. — Mary & Sarah, daughters of John HARVEY and Elizabeth WILLEY. The girls died a few days apart in Lyme CT when they were 23. Mary on 10 Jan 1705 and Sarah on 13 Jan 1705. 23 AUG 1713 Lyme, CT — Emphraim & Dorothy Willey, son and daughter of Isaac WILLEY II and Rose BENNETT. One source states that both Ephraim and Dorothy died in 1770. Since it is unique and provides no further details, I’m assuming they died young. 25 Jul 1737 Rumford, Merrimack, New Hampshire — John & Sarah, son and daughter of Thomas JEWELL III and Judith LANCASTER. Both John and Sarah died in 1738. 15 Feb 1769/70 East Haddam, CT — Molly & Sarah Miner, daughters of Sgt. Elihu MINER and Mrs Mary DEAN. Both Molly and Sarah died before 1790. This entry was posted in Fun Stuff, Storied, Twins. Bookmark the permalink.